The first concrete pour is complete. The masons scaffold is in place. 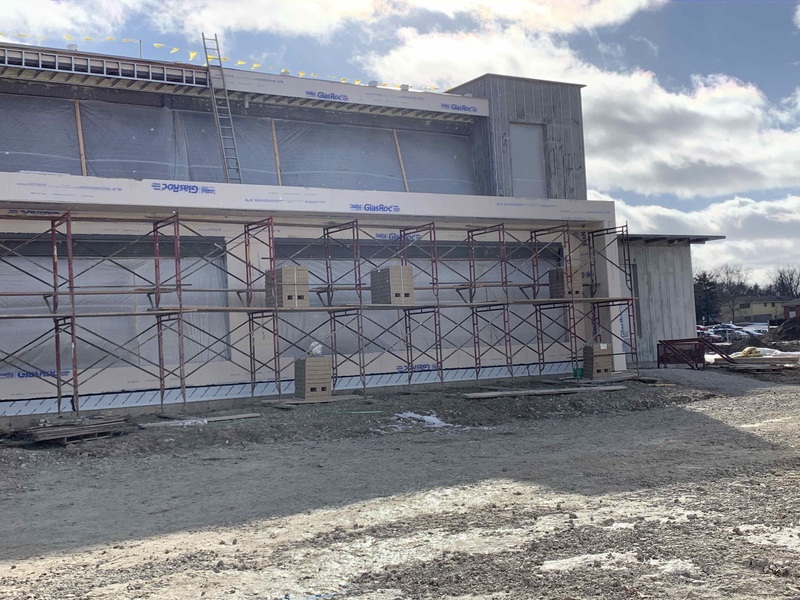 Once the building is sealed, window framing will be put in place and the masonry and metal panel will follow. 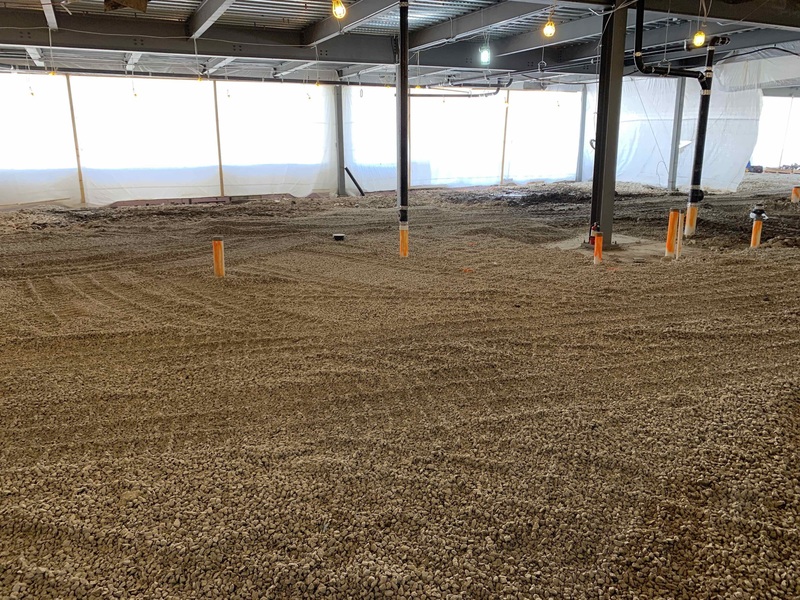 The first floor grading has started which gets the space ready for the first floor concrete pours. 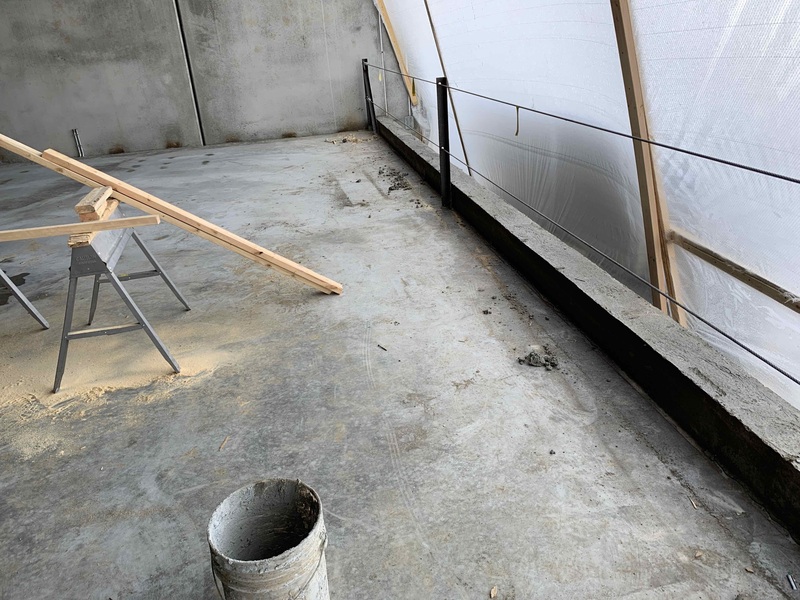 Installation of the interior concrete blocks is ongoing in the detention area.